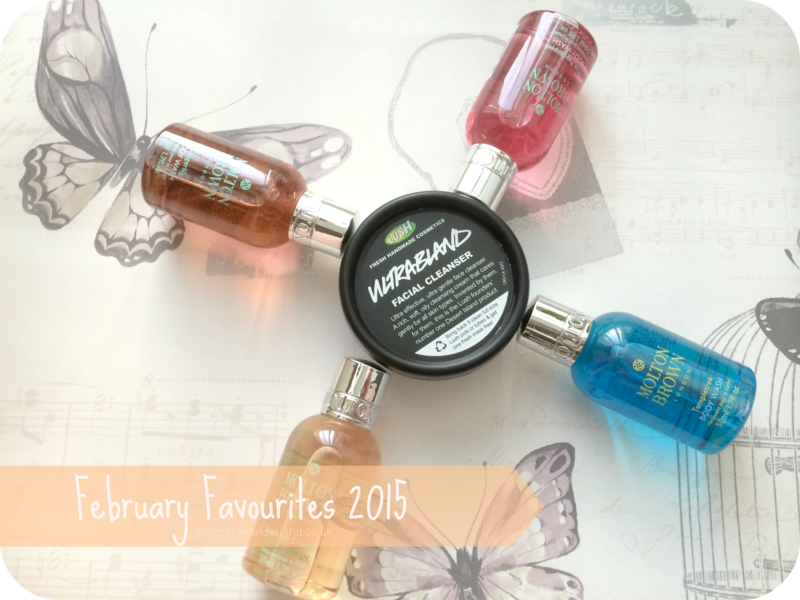 Saloca in Wonderland: February 2015 Favourites! Blimey where has February gone? Another month down, another monthly favourites round-up ahead! Let’s have a little look at what’s been tickling my fancy in February. I’ve recently become obsessed with miniatures. I’ve been loving getting a small taste of something, having it last long enough for me to enjoy but not so long to give me a chance to get bored with it. I picked up this 12 piece miniature Molton Brown shower gel set from their outlet store in Cheshire Oaks. OK, you might say it was a little pricey for shower gels, but they’re a little luxury and we all need a little more luxury in our lives! I was in two minds about putting this on my favourites list, as I haven’t quite made up my mind on this one yet. I don’t love, love, it, but I have been enjoying trying it out. I’ve been using it as my evening cleanser all month long so you can expect a more in depth rambling coming to the blog soon! I am a fire starter (bet you’re singing that song now). I love me a candle, and I never have only one burning at a time. 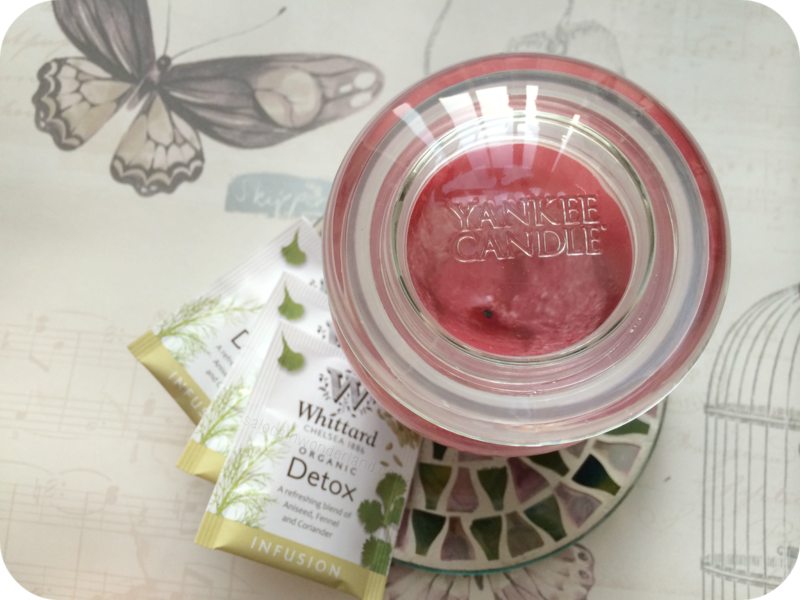 This month I picked up some Yankee Candles from their Simply Home range and a few votives too. I adore the Simple Home candles, they really pack a punch in the scent department, have fewer ‘tunnelling’ problems and the jars are not your usual Yankee trademark jars. I’m currently burning Pink Honeysuckle and it reminds me so much of my Mum’s garden in the Summer! I might have added a few more brews to my never ending supply of tea, but in my experience, you can never have too much tea on hand! I’ve been loving this detox tea from Whittards. This bright and refreshing herbal tea is made with; aniseed, fennel and coriander. I’ve found it’s the perfect tea to enjoy after a yoga session or when my stomach is feeling a little delicate. Did we all enjoy our pancakes on Pancake Tuesday? Nearly everyday this month has been pancake day in our house as I’ve been trying to perfect my batter making and pancake flipping skills. I think I’ve almost perfected a basic batter that makes the fluffiest pancakes you’ve ever had. They remind me of the kind you get in America! They’re by no means perfect but blimey they taste great! Mr introduced me to The Long Way Round, it was a show he watched a while back on Netflix and figured it would be something I might enjoy so I watched the first episode….and smashed the entire series! The show follows Ewan McGregor and his buddy Charlie Boorman as they travel from London to New York on their motorcycles. Their passion for riding and adventure take them across 20,000 miles, through Europe, Russia, Mongolia, Siberia, across the Ocean, through Canada and all the way to New York city in just 115 days. I’m no motorcycle enthusiast but I do love travel and the places and people they met fascinated me. I laughed, I cried, I cringed. It was amazing! And just when I thought it was all over, I found The Long Way Down which I’m almost halfway through now, journeying with the guys and they travel from John O’Groats to Cape Town! I’ve been reading so much more these past few weeks, to the point where I currently have two books on the go! One of which is this, Fallen Skies by one of my favourite authors and writing inspirations, Philippa Gregory. Based in the flapping 20s, Britain has been recovering from WW1 and people are trying to figure out just how to live now, with social conventions changing, the ways of the past are fighting for a place in this new world. Young Lilly wants to pursue a career on the stage but having been dazzled by the decorated Captain Winters, she must now challenge the codes and restrictions put upon her by her troubled new husband and face his nightmares as well as a few of her own. Hands down, the most popular post on the blog this month has been my 50 Shades review. I went and saw the film just after it was released and well, if you’ve read my review you’ll know all the thoughts I had on it! What have you been loving this past month? Have you seen 50 Shades of Grey? Thoughts? Let me know in the comments below! I've been liking miniatures, too. Mainly to take to the gym, haha! I just love being able to use them up and move onto the next thing. Always have something new to look forward to and try! I think it's a blogging side-effect haha! I'm so glad you paid a visit and said that! I am slowly beginning to love Ultrabland more and more. I stopped using it for several days and the change in my skin was almost over night, excess redness, excess oil, non-hormone related spots popping up everywhere, I didn't think it had anything to do with Ulbrabland until I started using it again almost a week later and the problems seems to disappear over night! As much as I might not worship the shelf it sits on, it's clearly doing something right by my skin!